Pharmaceuticals are not cheap to manufacture. The extensive research and clinical trials required to develop and market a new drug are a major factor in the overall cost of production. What’s more, many cutting-edge medications today require complex and expensive manufacturing processes, such as the need for a completely sterile production environment. When one adds up all these costs, it’s easy to see why the prices of new drugs are high. 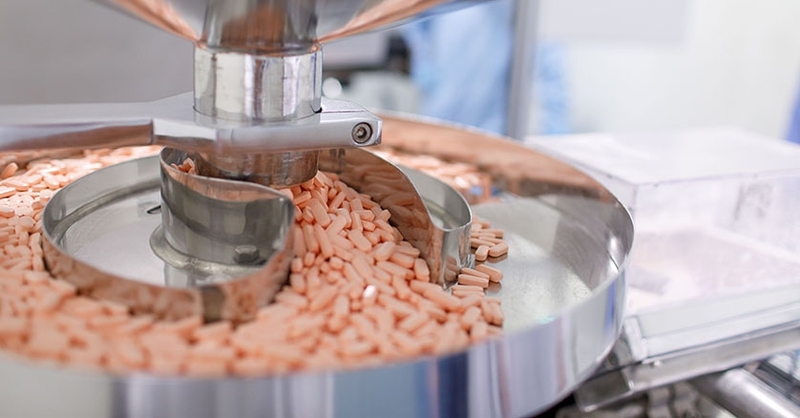 Given the current situation, pharmaceutical firms and their suppliers are constantly on the lookout for ways to improve efficiencies, streamline manufacturing processes, and bring down production costs. WIKA recently collaborated with a global pharma industry OEM on a project to improve flow characteristics and dramatically reduce the potential for contamination in a grinding and dispersing process. Grinding and dispersing, often called micronization, is a critical part of many modern pharma manufacturing processes. The size of the particles that comprise the pill, tablet, or capsule is critical in the bioavailability of a drug – how fast it dissolves and how long it stays in a person’s system. A very fine particle size often means higher bioavailability, which is typically the industry preference as that means the medication requires a smaller proportion of active ingredients. This, in turn, translates into fewer side effects for the patient and a lower production cost for the manufacturer. An OEM got in touch with WIKA to request a consultation on ways to improve its current grinding and dispersing process. For some time, the engineering team at the OEM had been dealing with nagging problems related to contamination and inconsistent particle sizes. After an in-depth review, the engineers determined that most of the issues were related, on some level, to cleanability and/or blockages in product flow. 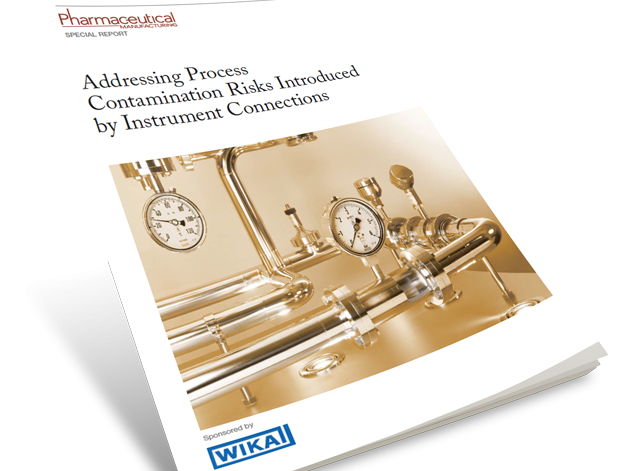 They contacted WIKA to inquire about temperature and pressure measurement solutions for their micronization device that would not restrict process flow nor increase the potential for contamination and loss of product. WIKA has been providing high-quality measuring instruments to pharmaceutical companies for decades, and our process engineers have developed a range of advanced solutions designed to address pain points in the industry. In this case, WIKA’s engineering team met with the OEM’s engineers, and together they decided that an inline diaphragm seal system would be the ideal solution for reliable cleanability and obstruction-free pressure measurement in the compact micronization device. An inline diaphragm seal system does not project into the process flow. Because of this design characteristic, process media can flow unobstructed. WIKA’s inline diaphragm seal is the only measurement solution available today that allows for true laminar flow of process media. To address the issues of cleanability and obstruction-free pressure measurements, WIKA provided the OEM with a complete inline diaphragm seal assembly, including an F-20 general purpose pressure transmitter. For temperature measurement, the teams decided on a custom solution comprising a TR21-B miniature resistance thermometer in a special thermowell with two probe sites, as well as a TR21-C, which has an integrated sterile connection. One of the RTD (resistance-temperature detector) signals is sent to the central PLC (programmable logic controller)—or the central controller, as it is sometimes known; the other signal is sent to a chart recorder. A TR25 in-line resistance thermometer for pipeline wall temperature measurement completed the system upgrade. The engineers were extremely pleased with the results of these improvements to their micronization process. The new diaphragm seal assembly resulted in notably improved cleanability—almost completely eliminating contamination problems. Using the inline diaphragm seal solution led to eliminating four pain points: two dead-leg spaces related to instrumentation, and two tri-clamp fittings in the device. Dead legs are a well-known source of contamination, as most cleaning processes cannot adequately reach these crannies. The gaskets associated with tri-clamp fittings are another known source of contamination. Under-tightening of a gasket can lead to process media escaping, while over-tightening can lead to gasket breakdown and, worse, forcing small pieces of the gasket into the process. Getting rid of these four potential sources of contamination resulted in a significant reduction in many of the OEM’s headaches. Another outcome was cost savings, now that fewer batches had to be thrown out due to impurities. Also, by eliminating blockages in the process flow, the OEM’s micronization device was able to produce a more consistent particle size. Another major advantage of an inline diaphragm seal is that it allows engineers to calibrate measuring instruments without having to open the process. Assuming a quarterly calibration schedule, that’s four fewer incidents per year of potentially introducing contaminants and exposing the manufacturer to other costly risks. The OEM’s production managers are delighted with their investment in a WIKA inline measurement system. One of their major pharma clients is also very happy with the supplier’s new and improved micronization process. In fact, the OEM’s managers are so pleased with the outcome that they are now considering updating several other of their older systems with WIKA technology.